In Proposify, we can connect to your Highrise account and allow you to import your contacts, automatically save your sent proposals as Deals in Highrise, and mark them as Won or Lost. 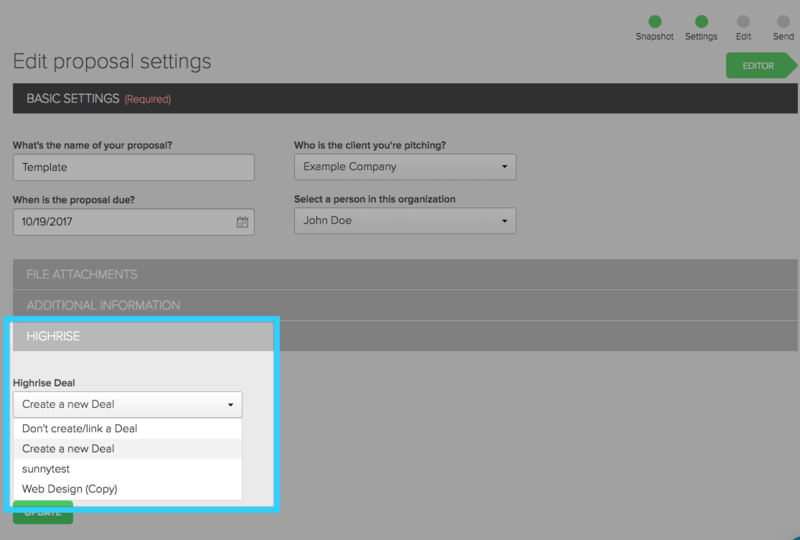 If you want to connect Proposify to your existing Highrise account, go to your account settings and scroll down to Integration. 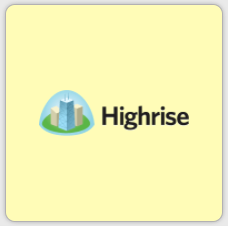 Click on the Highrise logo. You'll need to input two things, the subdomain and API key which you can find in the integrations tab under "My Info" in Highrise. Once connected, you'll now be able to import contacts into your client section. 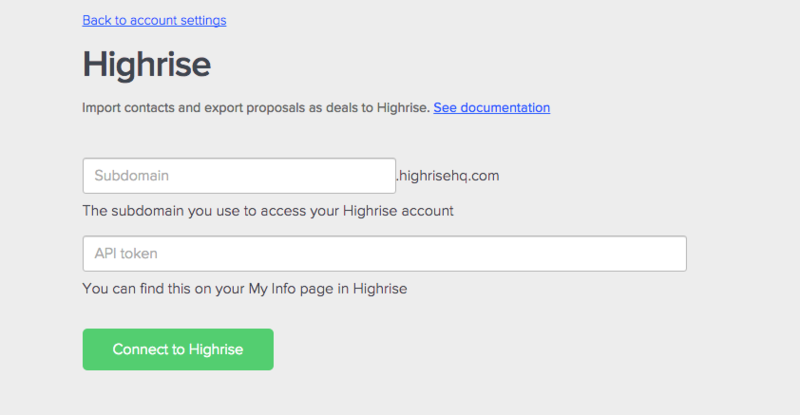 You can also create a deal in Highrise by going to the 'Proposals Settings' page of a new or existing proposal or link it to an existing deal from the list that comes up. If you have Streams, you can choose which Streams will automatically create a new deal or opportunity when a new document is added to that Stream.